Megan and Dave are Fun In The Sun Weddings newest Newlyweds. This bride and groom are about as opposite as two people can be. He is a little more relaxed, and she is a little more serious, but strangely they are the same page about most things. They are a good balance for each other. Megan and Dave met, fell in love, and got engaged all in their neighborhood pub! They are about as relaxed and laid back as couples come! They knew each other before the night they met, but had never talked. She had always been attracted to the type of guy who’s a little rough around the edges and burly…and Dave definitely fits that bill. The night the met Megan yelled at Dave because he had shaved. She firmly suggested he never do that again! And then she stole his pizza fry, so they joke that it was love at first pizza fry! And then we just decided to throw in the wedding. Megan found her beach wedding dress at David’s Bridal on a special day out with her Mom, future Sister-In-Law, and a good friend. Under that beautiful wedding gown, this cheeky bride sported the same pair of converse sneakers that her groom and groomsmen were wearing. This bride and groom’s beach wedding at the Occidental Grand Xcaret Resort was an especially intimate affair. Getting married on the beach, they wanted to be sure that everyone could see or feel their love for each other in every element, from the music to the vows to the readings. A best friend married them, and instead of a traditional wedding reading, the wedding party read some of their favorite quotes. Their secret to wedded bliss? We say ‘I love you’ every day, kiss every day, but most importantly we laugh together every day. 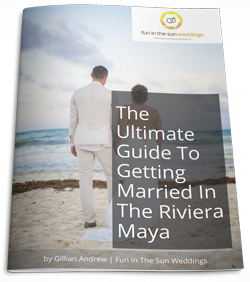 We here at Fun In The Sun Weddings are going on 14 years strong together, and agree that this is most definitely the recipe for a long and happy marriage. Megan and Dave, we wish you all the best in your new life together as husband and wife and thank you for sharing your special day with us. 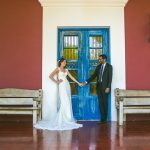 If you are looking for the best Playa del Carmen wedding photographer, then contact us today! We are Fun In the Sun Weddings, the best Riviera Maya wedding photographers. Want to know more about Grand Occidental Xcaret? Read unbiased reviews on Tripadvisor here. You cannot go wrong booking Fun in the Sun Weddings for your wedding photos. 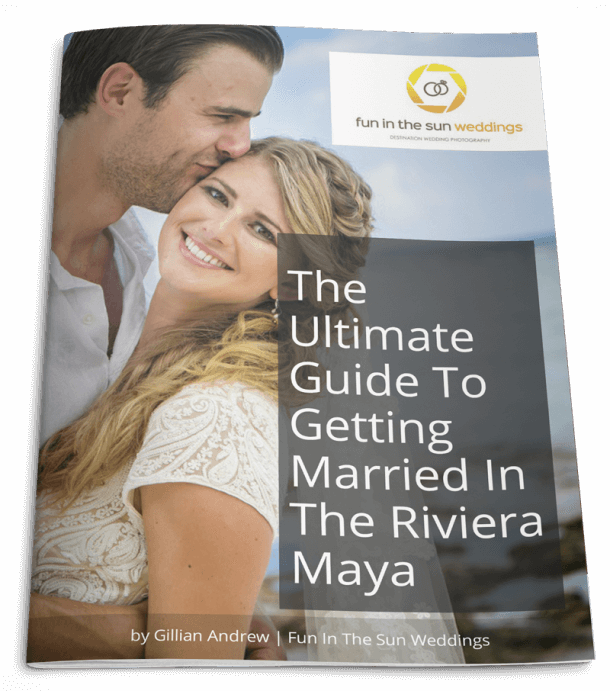 We live in the United States and planned a destination wedding in the Riveria Maya. It was a bit nerve racking to book something so important based on emails and a website but Fun in the Sun Weddings does not disappoint. They are simply outstanding. Communication throughout the whole process was superb. We felt comfortable with them from the minute we met. Within a week of returning from our vacation our sneak peak was ready and within two weeks we had our online gallery. Marc and Shari captured moments from that day that I have not seen in anyone elses portfolio. There are so many ``real`` moments that are documented from our big day and they take me right back to that special place and time. I can only hope that we will return to the Riviera Maya again some day and will be able to work with them again on another special life moment. You guys rock!